A distant relative of Davy Crockett, Charley Crockett taps into Americana mythos in his music. Originally a blues singer, Crockett strayed into other American roots music the longer his career lasted, incorporating soul, gospel, and, especially, country. 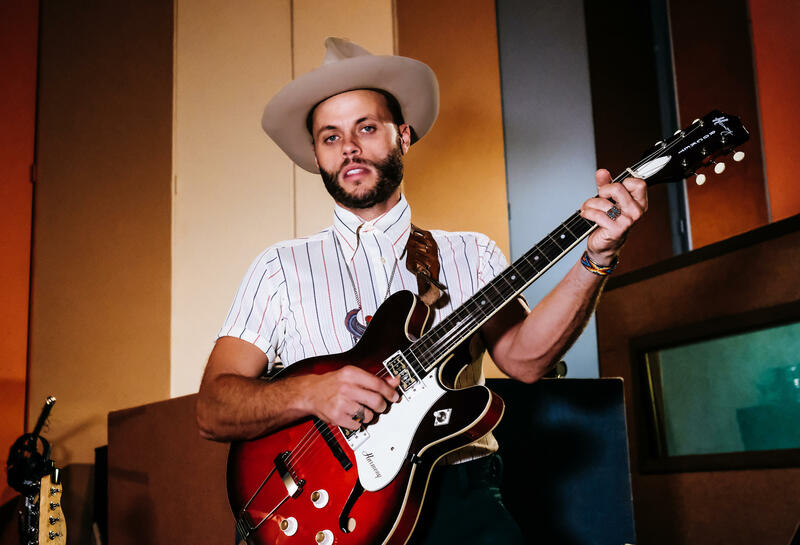 Charley Crockett was born in San Benito, a southern Texas border town that also claims Freddy Fender as its own. Crockett was raised in the nearby Los Fresnos by a single mother who sang the blues in her spare time. Originally a fan of hip-hop, his musical horizons were expanded by an uncle who had a fondness for New Orleans brass bands. Crockett's mother moved his family to Dallas but once he entered his late adolescence, he wound up wandering to New Orleans, where he built up his chops busking, incorporating elements of country and swing into his blues-anchored Americana. He relocated to New York City in 2009, where he continued to sing on the streets and subways, eventually becoming part of a group called Trainrobbers. Crockett split from Trainrobbers prior to the band recording a debut, headed out to California, where he played for a while until he moved back to Texas, settling in Dallas and releasing his debut album, A Stolen Jewel, in 2015. A Stolen Jewel played well in the Dallas area, earning Charley Crockett the title of Best Blues Act from the Dallas Observer Music Awards. A year later, he released In the Night, which found him moving toward country. After touring for a year, he signed with Thirty Tigers and cut the country covers collection Lil G.L. 's Honky Tonk Jubilee in 2017. In 2018, he released Lonesome as a Shadow, a collection of genre-bending original songs recorded at Sam Phillips' Recording Service in Memphis.